Yes London. Although I'm a country boy at heart, at times I find myself in the big smoke and to me, there is no other city I would rather be in. A long time ago, when I was fresh faced and bright eyed about the world I spent a few years working hard in London, and it still has a very special place in my heart. I thought I'd try and highlight a few of my absolute favorite destinations in London and prove that there is a ton of VHD fodder to be found in the city. If I'm ever asked about places to eat in London my first suggestion is always Rules, London's oldest restaurant. Opened by Thomas Rule in 1798 it has served the finest British cuisine to a captive audience in London's Covent Garden ever since. Imagine, if you will, a wood paneled living room festooned with hunting trophies, oil painting and imperial memorabilia. An ever changing menu of seasonal game, sourced from its own country estate, is prepared by 35 chefs fronted by David Stafford. Dining here you join such prestigious alumni as Charles Dickens, William Makepeace Thackeray, John Galsworthy and H.G Wells. Nowhere else will you get such a distinct display of fine British cuisine. I highly recommend the venison cottage pie. London is truly a city of parks; it has over 25,000 acres of green, all designed to be strolled through and enjoyed. This trip however I came armed, on mission if you will. I had picked up a copy of "Great Trees of London" (yes, there is such a book) and this great book (published by "The Lonely Planet" in conjunction with "Trees for Cities") took me into new parts of London; to secret squares, nooks and crannies in the hunt for trees of note. There were some amazing specimens but also, unfortunately, one that is no longer there. 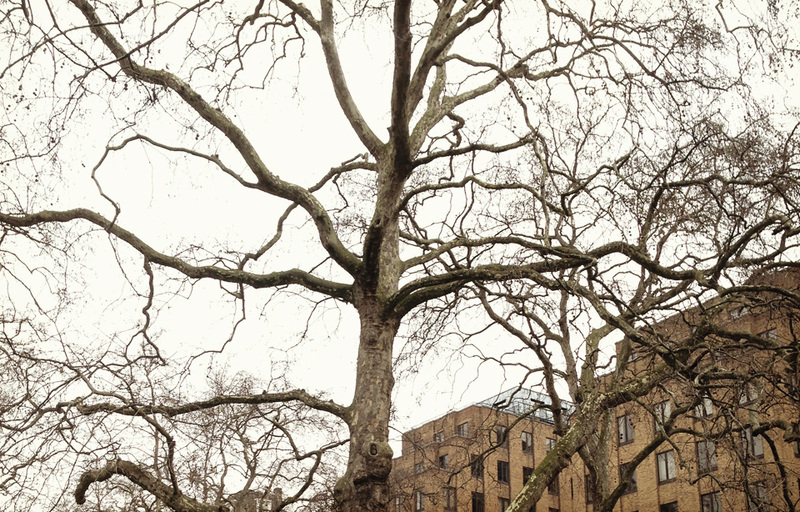 The St James's Church Catalpa tree on Piccadilly was cut down in 2012 - I just missed it. After it was felled the pieces were carved by artist Clinton Chaloner into the church's nativity. So it still lives on in one form or another, although I would prefer if it still were alive. The pub has a friendly, local atmosphere, it smells of old wood and history and I'm glad to say it was bustling when I went in. The bangers and mash were delicious as well as the ales that washed them down, the co-lease holder, Sir Ian McKellen was not around but there was a rather cool Gandalph model in the back parlour overlooking the Thames, along with a complete set of Dickens' work. I'm pretty much in my element when surrounded by stacks of old, dusty books. One of my favorite London activities is to simply stroll down Charing Cross Road and duck into all of the amazing book shops. Some are real collector, antique type stores, some are bargain basement places but they all have a nostalgic atmosphere. They also pay heavy dividends if you are willing to put in a little work. Checkout "Quinto & Francis Edwards Bookshop", "Henry Pordes Books"," Any Amount of Books" and, of course, "Foyle's". Foyle's has been selling books for a long time. They stock mainly new books but also have a few second hand, either way they must have exceptional buyers as it's always stocked with a great selection. Their travel section is particularly spectacular. Whatever you're looking for London most likely has a market for it and this trip my destination this time was Spitalfields on a Thursday. In the main, old hall they have an excellent antiques and knick-knacks market. It might not be the biggest market but the quality and selection is exceptional. Be sure to swing by Andrews of Arcadia for all your fishing needs. And there we have it, this is very much my own, very concise list and may not be for everyone. I have hardly scratched the surface of London itself, I'd love to talk about museums, galleries, monuments and go deeper into pubs, restaurants and history but this is already a monster post, so that might just have to wait for my next visit. 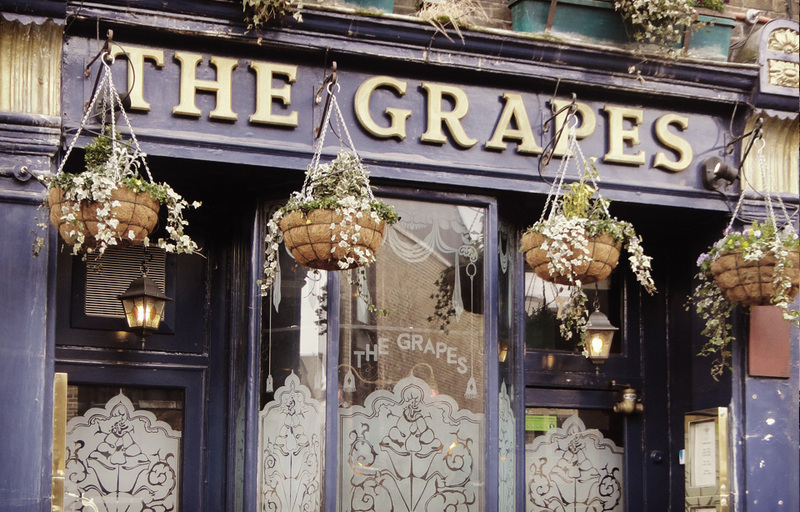 Posted on May 7, 2013 by admin and filed under VHD and tagged books bookshops holiday London parks pubs Rules shops The Grapes trees vacation.